New York Yankees Agree to Three-Year Deal with LHP Zach Britton. After losing out on David Robertson to the Philadelphia Phillies on Thursday, the New York Yankees have brought back left-handed reliever Zach Britton on a three-year contract, according to ESPN’s Jeff Passan. Zach Britton has a deal with the Yankees, sources tell ESPN. Britton, 31, was acquired by New York from the Baltimore Orioles last July, and posted a 2.88 ERA and 7.6 K/9 over 25 relief appearances and exactly 25 innings pitched while manning the back-end of the Yankees bullpen. The Athletic’s Ken Rosenthal reported that Britton’s three-year contract will be worth approximately $40 million, meaning the southpaw will earn about $13 million per season. Britton’s contract also includes a $14 million team option for a potential fourth year that would need to be activated after the second year, meaning he could earn more than $50 million over the life of his new deal. The Texas native could also opt out if the Yankees fail to pick up that option following the 2020 season. From the perspective of the Red Sox, this acquisition marks the second time in the past week that intriguing free agent bullpen options have been taken off the board by teams intending to contend in 2019. It is unclear how hard the club pushed for the services of the oft-injured Britton, but I would like to imagine this increases their chances of retaining Craig Kimbrel at the moment. Former Colorado Rockie Adam Ottavino remains an option on the relief market as well, but Rosenthal did previously reported Saturday that it’s, “not out of the question [the Yankees] will sign [Britton and Ottavino],” so we’ll have to wait and see if anything picks up on that front. 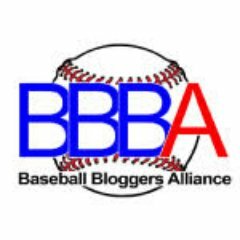 Author Brendan CampbellPosted on January 5, 2019 January 5, 2019 Categories Baseball, Sports, UncategorizedTags baltimore, Baseball, boston, david robertson, hot stove, mlb, new york, offseason, orioles, red sox, yankees, zach brittonLeave a comment on New York Yankees Agree to Three-Year Deal with LHP Zach Britton. #RedSox Reportedly Sign Carson Smith to Minor League Deal. The Boston Red Sox have brought back RHP Carson Smith on a minor league contract for the 2019 season, per MassLive.com’s Chris Cotillo. Red Sox have re-signed Carson Smith to a minor-league deal, source confirms. Smith, 29, originally elected free agency after being outrighted from Boston’s 40-man roster in November, but in a move that may surprise some, the Texas native is back with the organization. Originally acquired from the Seattle Mariners along with LHP Roenis Elias in exhange for RHP Jonathan Aro and LHP Wade Miley back in December of 2015, Smith’s initial tenure with the Red Sox was riddled with injuries and several stints on the disabled list. In parts of three different seasons with Boston, the former eighth round pick posted a 2.65 ERA and 10.3 K/9 over just 29 appearances out of the bullpen and 23.2 total innings pitched. A recipient of Tommy John surgery in 2016, Smith made his first Opening Day Red Sox roster this past season, where he allowed six runs to cross the plate over 14.1 innings of work before his year ultimately came to an end on May 14th. After serving up an eighth inning solo home run to the Oakland Athletics’ Khris Davis, the right-hander slammed his glove in the Red Sox dugout of frustration upon retiring the side in the frame, which resulted in the subluxation of his throwing shoulder. An injury that would eventually see Smith placed on the 60-day disabled list and miss the remainder of the season. 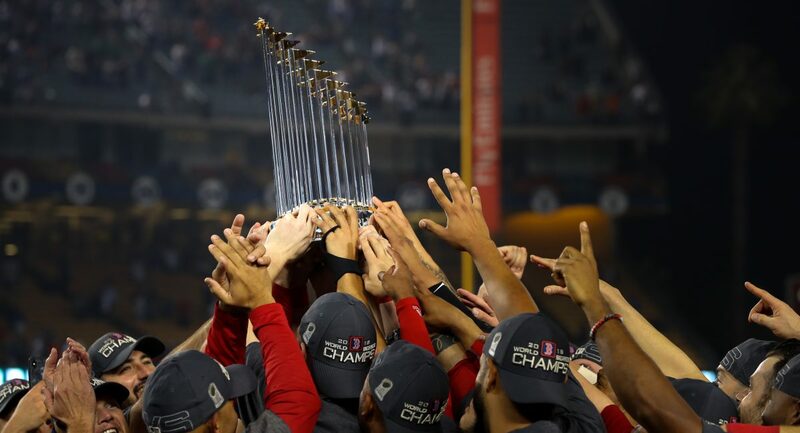 That matter did not sit well with Red Sox fans back in the spring, but with the departure of Joe Kelly to the Los Angeles Dodgers and the probable departure of Craig Kimbrel, the Red Sox have made adding pitching depth a priority this winter. Already in the month of December alone the club has agreed to minor league deals with RHPs Erasmo Ramirez and Zach Putnam to go along with Sunday’s signing of Smith. It remains to be seen if this latest deal with Smith includes an invite to major league spring training, but I’m going to go ahead and say it will. Author Brendan CampbellPosted on December 30, 2018 Categories Baseball, Sports, UncategorizedTags alex cora, Baseball, boston, carson smith, dave dombrowski, hot stove, mlb, offseason, red soxLeave a comment on #RedSox Reportedly Sign Carson Smith to Minor League Deal.